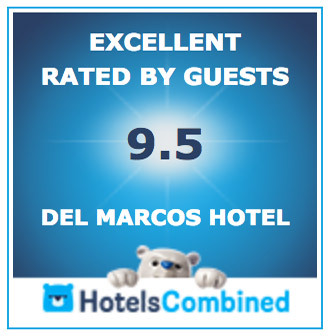 © Del Marcos Hotel Palm Springs. All Rights Reserved. Drive on out, lay by the pool, work on your tan, and get some rest and relaxation! Stay three midweek nights with the option of either booking 2 nights and getting the 3rd FREE or 20% OFF any room. Not valid weekends or for special events. Week day special applies to Sunday through Thursday. Please Call or Email for further info. Sign up to receive special offers only available by email.